Featuring a blissful array of packages, body scrubs, wraps and massages, the 10,000-square-foot Spa at St Julien aims to make a stay in the mountain town of Boulder, Colorado as peaceful as possible. Here, the St Julien Hotel & Spa’s signature honey onyx tile graces the walls and shimmers underneath cascading streams of healing water. The spa blends Eastern and European styles, with a nod to the property’s mountain location; you’ll see hanging paper lamps, mosaic tiles and sun-drenched relaxation rooms among the décor — and on the spa menu, signature treatments even highlight Colorado’s indigenous plants. You’ll want to linger sipping your Tazo tea, as you relax and rejuvenate at this nature-inspired, luxury spa. Both the architectural and interior design at Spa at St Julien in Boulder creates an atmosphere of relaxation and rejuvenation for its pampered guests. 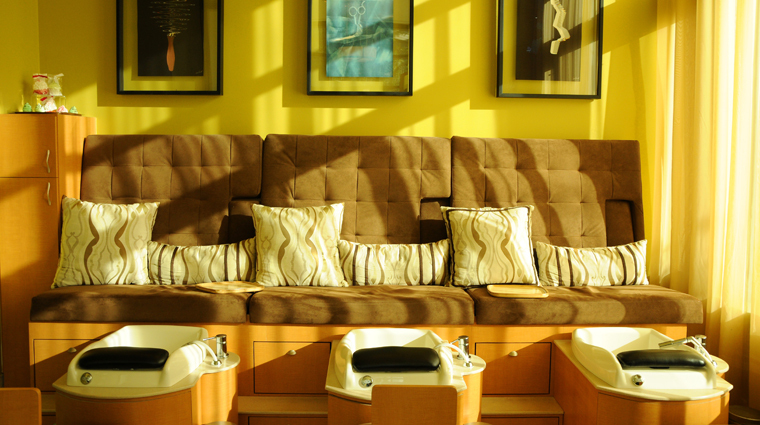 The contemporary interior of the rejuvenating spa is decorated with a softening palette of yellow throughout. Fresh flowers and plants add warmth and life to the facility, and natural-filtered light from the windows and beautiful works of art adorn the space, too. Lose yourself in the pure sensuous softness of the luxurious spa bathrobe at Spa at St Julien in Boulder. The Boca Terry robe is made from 100 percent cotton and is so cozy, that you may never want to take it off. Plush 100 percent cotton towels and cool water are conveniently placed near the wet areas if you are in need of further refreshment. A gift shop (adjoined to the entrance) offers a variety of Spa at St Julien products, jewelry and clothing definitely worth perusing. To guarantee your respite from perhaps a long day of hiking in Boulder, Colorado, your best bet for making a reservation at Spa at St Julien is to contact the hotel directly. Since squeezing in a pampering session will instantly improve your trip to Boulder, we suggest you book as far ahead as possible to secure your spot. Keep in mind that if you’re forced to cancel prior to your appointment, the spa requires eight-hour notice to avoid being charged in full. 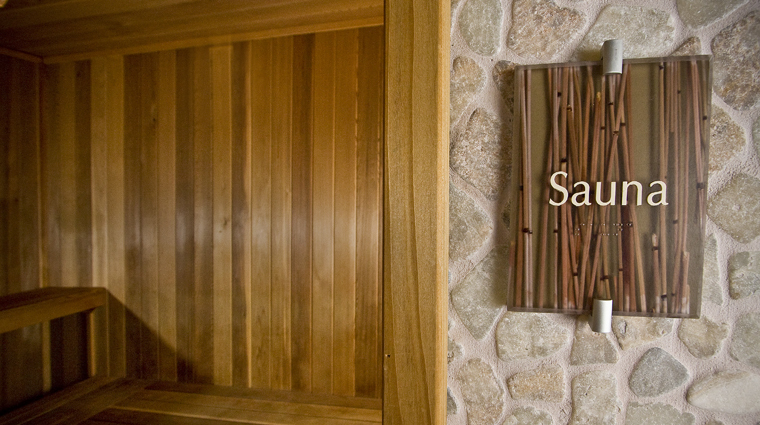 Be sure to arrive early or stay late to fully enjoy the luxurious spa amenities at the Colorado sanctuary. 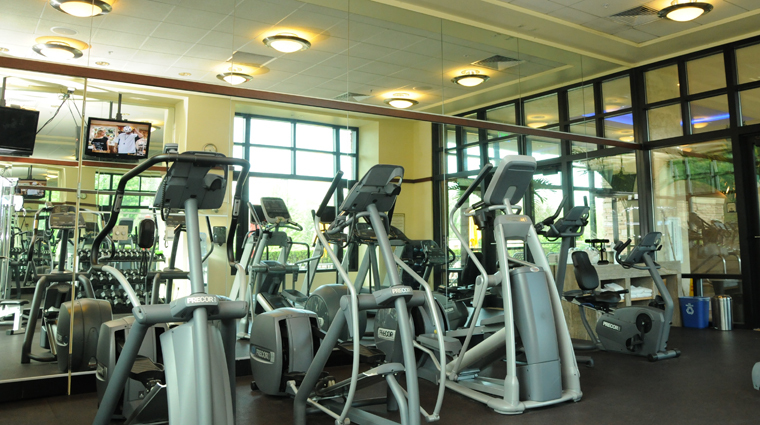 The spa is open from 8 a.m. to 8 p.m. so take your time navigating through the huge space. As its name suggests, the Just For You package is unique because you get to design it just the way you want. Spend three hours in total bliss when you select the Timeless Trio package. 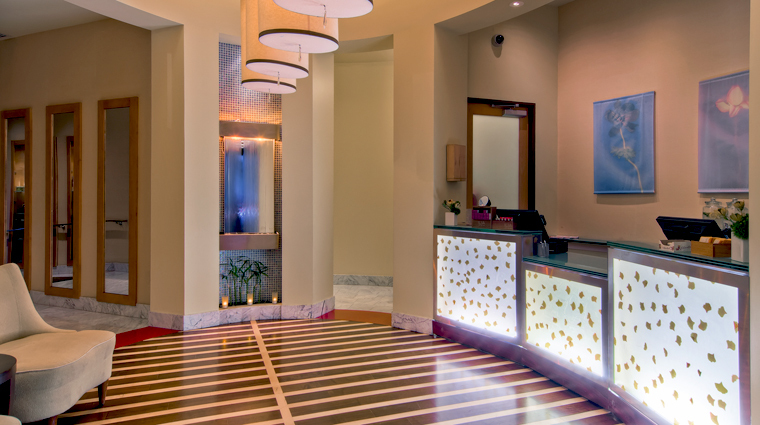 A massage, facial and pedicure are all bundled into one satisfying spa visit. A massage for expectant mothers can relax tense muscles, ease sore spots, and improve circulation. A 50- or 80-minute treatment includes light massage strokes to help with pain in the lower back, hips and feet. The romantic spa offers its Treatments for two package for loving couples. This lavish service includes a 75-minute massage for you and your partner side-by-side in the same room. Day of Decadence takes five hours’ to complete a full body massage, facial, classic manicure and pedicure and a signature scrub in the Vichy shower. And for that extra special touch, you’ll also be served a glass of champagne and a fruit and cheese platter. Let the dimmed lights and soothing music relax your body and calm your mind as you comfortably rest in this sanctuary of peace and harmony at Spa at St Julien in Boulder. The relaxing spa's co-ed lounge is decorated with a softening palette of beige tones seen throughout the beige-colored couches and sofa chairs, which provide a cozy place to take a nap, read a magazine or perhaps eat a light dish. Floral-inspired artwork and fresh flowers add to the elegance of this room. 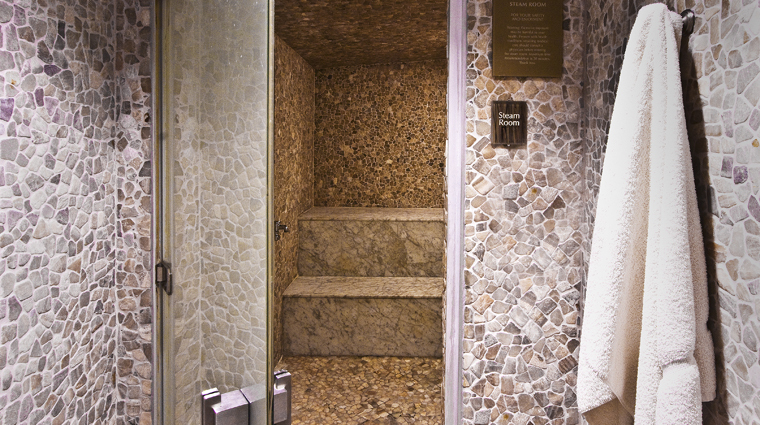 There are locker rooms for men and women, and both have separate hot showers, a dry sauna, and eucalyptus-infused steam room. 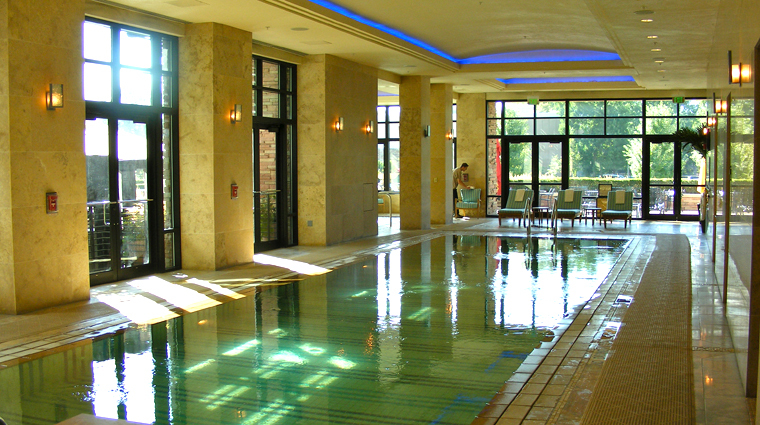 Pack your bathing suit so you can soak in the elegant spa's indoor pool and Jacuzzi. You may also want to sip on a cool beverage or just simply relax on one of the many lounge chairs surrounding the pool area.